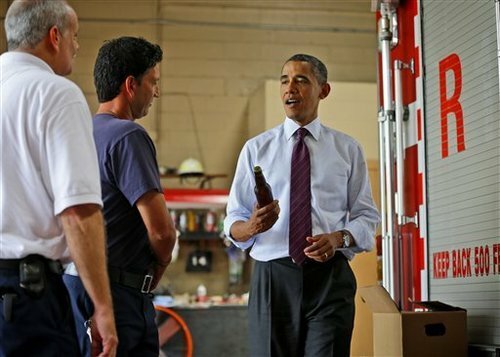 El Presidente • Obama's signature home brew is finding its way to local pubs. Washington • At least one Utah brewery plans to pour the White House beer from its taps before Election Day in a nod to President Barack Obama's signature home brew. "We're going to call it El Presidente Honey Ale," says Greg Schirf, Wasatch Brewing founder and head of the Utah Brewers Cooperative that makes Wasatch and Squatters beer. After an outpouring of requests, the White House last week released its recipe for two different styles of beer it has been brewing on-site for some time. Obama has tipped back the frothy beverage at special events at the White House and has offered it to folks on the campaign trail. "The White House has been brewing its own beer. Have you heard about this?" 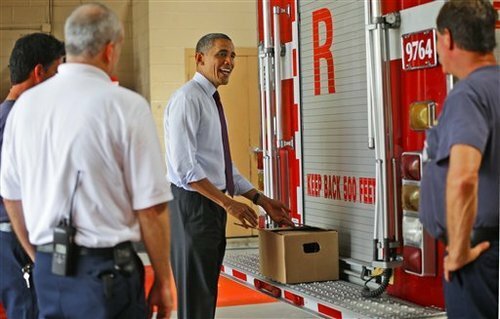 the president asked firefighters in Norfolk, Va., this week before handing out a case to the men. The White House Honey Blonde Ale and White House Honey Porter  made from honey made in beehives on the presidential grounds  have quickly become a hot commodity in the home-brewing community. The online site Craft A Brew is even offering a $48 kit with instructions on how to make your own White House beer at home. Schirf, whose company bottles Polygamy Porter, Brigham's Brew (a nod to LDS Church prophet Brigham Young) and Provo Girl Pilsner, says the White House beer is just the right fit for his brewery and he wants to get it flowing at their pubs in Salt Lake City and Park City soon. "We're definitely going to do it," Schirf said. "We just think it's really fun. We think it's terrific that we have a president who is not just a beer drinker but a beer maker." Wasatch and Squatters are likely to find instant consumers in Utah's Democrats. Glenn Wright, chairman of the Summit County Democrats, enjoys craft beers. If you couple that with his support for Obama, he may find a locally produced version of the White House Honey Ale irresistible. "I'd buy it just because it came from the White House ... this White House," he said. Obama's assistant chef, Sam Kass, posted the recipe for the ale on the official website after more than 12,000 people signed a petition demanding it. A few others filed freedom of information requests. "With public excitement about White House beer fermenting such a buzz, we decided we better hop right to it," Kass joked. George Washington owned a whiskey distillery near his Mount Vernon home and Thomas Jefferson perfected grapes to make wine at Monticello. But Obama's beer is considered the first to be brewed at the White House. Obama himself teased readers during an interview on the online site Reddit about his love for the White House ale. "I can tell [you] from firsthand experience, it is tasty," the president said. For the White House beer recipes, go to http://1.usa.gov/QbpPbO.